This is the time when we think about goals and plans for the next twelve months. This year, my goals include getting out and exploring the city and culture I’m in. My list includes Chinese zodiac animals and Siberian seagulls. Read the whole thing over at Taking Route today: What’s On Your 2017 Cultural Bucket List? How about you? 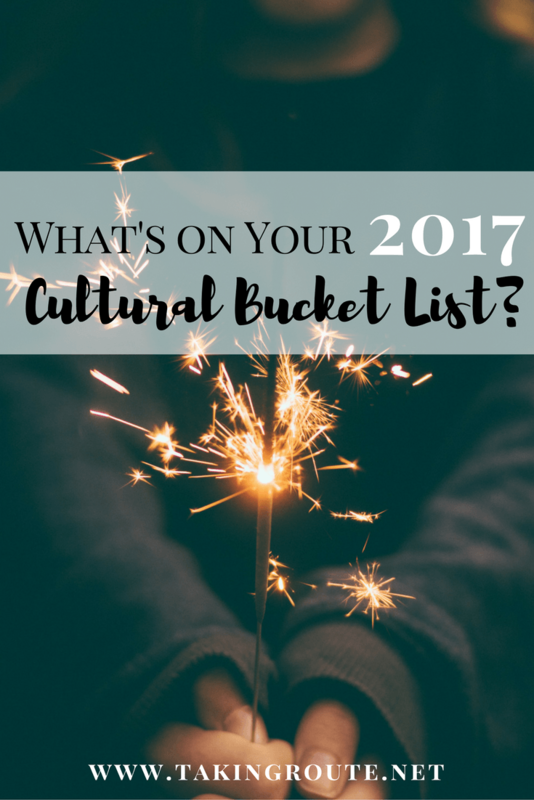 What things about the language, culture, food, and sights do you want to make sure you check off your list in 2017? Thriving Abroad: What’s Love Got to Do with It? I love this idea! We will have two cultural bucket lists this year, one for the US and one for China. We’ll be going back home for a visit after 5.5 years and it will be a totally new experience for the kids. And Yunnan is on my China bucket list. I can’t wait to sit down a make the lists with the kids. I love this idea! What a great idea to memorize the zodiac animals. I think I’ll steal that one… Just as a side note, why aren’t there seagulls in China? There aren’t any in Hainan, and I never saw any in the Bohai Sea, either. Also, the ocean doesn’t really have a smell. I’m so curious about this! I’m glad you like this idea, April! I would love to hear what is going on both your U.S. and China lists. I remember needing to show my kids what a vending machine and drinking fountains were and how they operated when we went back to the U.S. the first time with them. There aren’t seagulls in Hainan or at Bohai? Wow, I would never have guessed that! Now you’ve made me really curious, too.